One of the hardest parts about being a fan of college athletics is getting attached to players' games and watching them leave in a quick four years. The Hoopfest Alumni Game takes some of the sting out of that loss with a fun reunion for fans with the players they've watched for decades — especially for Zags fans throughout Gonzaga's historic run. Last year's game saw 22 former Gonzaga players suiting up and going at each other, painting images that Hoopfest Director Matt Santangelo, a former Zags star, couldn't forget. "At one point, Micah Downs had the ball at the wing and Erroll Knight was guarding him and you saw these two 6-7, long, lean, strong athletes matched up against each other, and it's just, like, 'Aww geesh,'" said Santangelo. "That's what basketball is supposed to look like." The game turned out to be hypercompetitive, which wasn't too much of a surprise to Santangelo. "There's a game in town on Sunday afternoons, and it's the best game in town, better than Gonzaga's current players. And it's the most competitive," he says. "When we started putting together those rosters last year, I realized it would be just like the Sunday ball that John Stockton puts together. Anytime you get a Casey Calvary out there, or certainly a David Stockton, you know it's going to be scrappy." The event was spearheaded by Dan Dickau and Jeremy Pargo, who will remain team captains for this year's Gonzaga alumni team. "I don't know what I expected," said Pargo. "From being in Spokane and at Gonzaga for four years, you expect everyone to stay the same, and add to what they do. And we have some guys that are still playing, and you can see that they've gotten better. And then you have guys like [34-year-old] Erroll Knight, who is a coach in Seattle. I honestly thought Erroll was the same 22-year-old when he was out there playing." 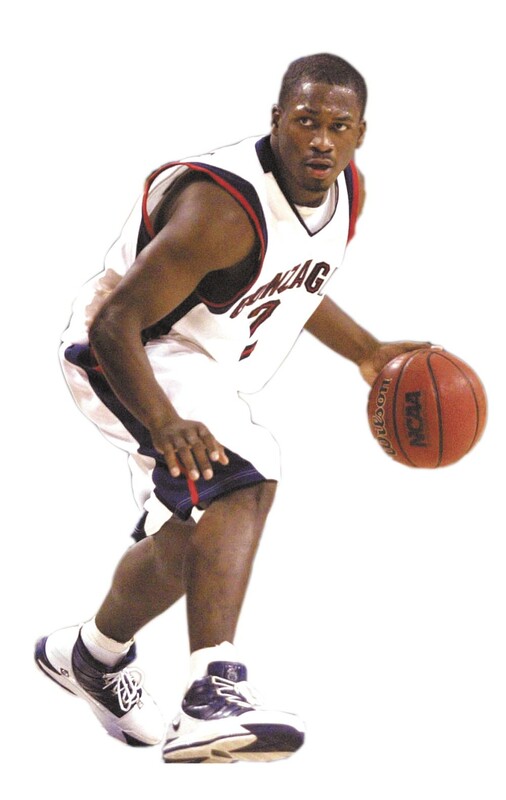 To raise the competitiveness to an even higher level, Pargo suggested bringing in former University of Washington Huskies to face off with the Zag alums: "The rivalry was always something big while I was at Gonzaga, and they've always been a good program on the other side of the state." The Bulldogs and Huskies recently ended their nine-year hiatus, with 2015's matchup at the Battle 4 Atlantis tournament in the Bahamas and last year's game at the Kennel, both won easily by the Zags. The Husky alumni team is led by coach Donald Watts, who faced off against Santangelo throughout their playing days and is familiar to Hoopfest fans. Watts' father, former Seattle SuperSonics standout Slick Watts, was the ambassador to Hoopfest its first two years. Coming back to Spokane and reengaging in his relationship with Santangelo was a no-brainer. "At that time, we were both programs on the rise," said Watts. "We went to two consecutive NCAA tournaments, that's when they started their tournament run. At that time, Gonzaga was built on Washington guys. It was kind of a deal where the Santangelos and Calvarys weren't guys UW was recruiting, so they went over there and found a home, and built that program." Watts sees events like this Alumni Game as a great opportunity to help rebuild relationships within the Huskies program moving forward: "Our guys are a little more all over the place and not as connected." The hope is that reestablishing former players with the program and community will help newly hired UW head coach Mike Hopkins rebuild. The Huskies' alumni roster is full of young guys who have played in the NBA or elsewhere professionally, with Justin Dentmon, Bobby Jones, Justin Holiday, Robert Upshaw, Tre Simmons and Darnell Gant joining Watts, with the potential of Nate Robinson's late addition. Pargo hasn't yet planned out the rotation for his team, but intends to lean on young guys like Mike Hart to log some minutes for him. "Mike is probably one of my favorite players, so he'll probably play big minutes," said Pargo. "And I haven't [admitted to] myself that I've become the old guy yet." Young guys like Hart, Downs, Gary Bell Jr., Eric McClellan, Steven Gray and Robert Sacre fill out Pargo's roster, along with with familiar older faces like Knight and Ira Brown, and the exciting reunion with the great J.P. Bautista.